At midnight 01 July, 2013 Croatia became the 28th member of the European Union. The process has been long and arduous and has taken several years to complete. It is important for you to know that entry into the EU does not mean that Croatia will now have the Euro as its official currency. The Euro was introduced in 1999, a single currency shared by only 17 of the European Union’s members. Those countries which use the Euro are known as the “Euro Zone”. Not all EU member states use the Euro as its currency. For example, the United Kingdom is exempted from participation and still uses the Pound. All member states must meet specific conditions before they adopt the Euro as legal currency. Croatia has not yet begun to make application for the Euro and do keep in mind it takes time to change a nations currency. 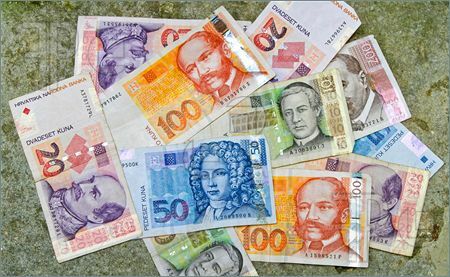 Croatia Kuna remains the legal currency of the country and is the only currency which must be accepted. Many hotels and tourists bureaus and private rentals quote rates in Euros as a courtesy since the majority of arriving guests are from European nations. At this time it is still best for tourists to obtain Croatian Kuna as payment, as many will not accept Euros. There are many websites that can help you understand the exchange rates between currencies. One can be found at http://www.xe.com/currencyconverter/. We have many ATM machines here; they will always afford the best exchange rate. Our machines do not dispense Euros, only Croatian Kuna. It is possible to buy Euros in our many banks or exchange shops, but keep in mind when doing a double exchange you will lose. Some banks in the USA are now offering Kuna; their exchange rates are not the most favorable and additional fees are always added to the transaction. I strongly urge you to wait until your arrival in Croatia, use the ATM machine and you will be able to obtain as little as 100 Kuna with a maximum of much more per transaction. As of today, 01 July 2013, the exchange rate is 5.7 which means 100 Kuna is equivalent to $17.54. My California bank does charge me a fee of $5.00 per withdrawal, and yours may also charge a fee for ATMs outside of your bank’s system. I have learned to utilize ATM machines to my advantage and during overseas travel you may agree. Croatia has always been Europe’s best kept secret, Americans are just now discovering this small but exquisite country. Come and visit, you will find me at the Riva sipping coffee with friends.